All life: Growing; Walking; Crawling; Flying; Swimming – Big and Small. Biodiversity is a term to convey the vast array of habitats and species of plants and animals that exist on earth. This section of the National Rural Network site aims to identify key ways to conserve and protect biodiversity on farms, and aims to educate the general public on the importance of protecting wildlife and their habitats especially on farmland. Farming is a major land use in Ireland, with two-thirds of land devoted to it. 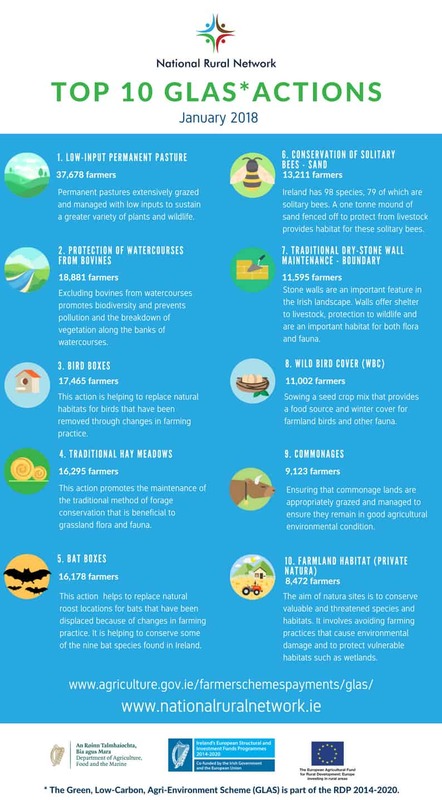 Different types of farming enterprises have different impacts on the quality of nature found throughout Ireland’s landscape. 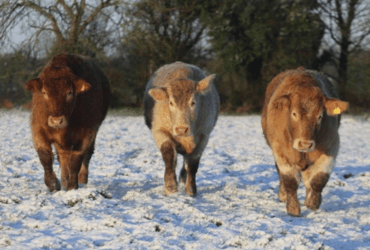 High Nature Value farming, while it tends to be extensive in practice has great benefits for biodiversity, while intensive farming, like intensive dairy production tends to be linked to lower biodiversity present on farms. The nature of the ecology present all over Ireland’s country side is very complex. Farmers play an important role maintaining and enriching wildlife, flora and fauna to support healthy ecosystems for the general public to appreciate and enjoy. Farmers play an important role in taking care of and protecting the quality of nature found in the countryside. Well managed farmland is an ideal habitat for much of Ireland’s biodiversity to live and thrive, including birds, mammals and insects. Farmland is comprised of many habitats such as hedgerows, field margins, stone walls, ponds and streams. An array of biodiversity is essential for healthy ecosystems. Land use and land management are key factors influencing the quality of biodiversity present on any farm. The way we farm plays a pivotal role in encouraging, maintaining and enhancing nature in the countryside. Through education and participation in Agri-environmental schemes, farmers are choosing environmentally friendly actions that are helping to protect and reverse the decline of endangered species. 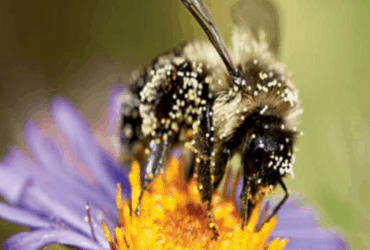 Pollination: pollinating insects such as bumblebees, solitary bees are vital for the pollination of crops and wildflowers. Soil health: earthworms are essential for good soil fertility. Soils are home to over a quarter of living species on earth. Pest control: insects and birds can be used as part of an integrated approach to pest management. Retain and link areas for wildlife by providing or maintaining green corridors for wildlife such as field margins, meadows, ponds, scrub, trees and hedgerows. Create a rough margin around fields to provide cover for small mammals and allow rough grass strips alongside streams and rivers to buffer wildlife from agricultural activities. On arable ground, retain winter stubble and consider planting a wild bird cover crop. Plant and establish native hedgerows and trees. Maintain existing native hedgerows and allow them to flower. Encourage wildflowers to grow around the farm. Nutrient management planning to minimise artificial fertiliser usage. Integrated Pest Management to minimise pesticide use. The quality of nature found on farms is determined by good farm management practices. Correct timing and application methods of herbicides, pesticides and insecticides. Restoring, preserving and enhancing ecosystems related to agriculture and forestry is one of the priorities of the Rural Development Programme (RDP). The RDP 2014-2020 provides funding for the protecting and enhancement of biodiversity through the provision of funding and grants made available under Pillar II of the Common Agricultural Policy (CAP) in the form of Agri-environmental Schemes which boost farmland nature and halt species decline. ​Measures taken by farmers under schemes have already delivered many positive impacts on biodiversity. Providing education to build advisor knowledge on biodiversity and educate farmers on the importance of encouraging maintaining and preserving biodiversity in rural Ireland for future generations. 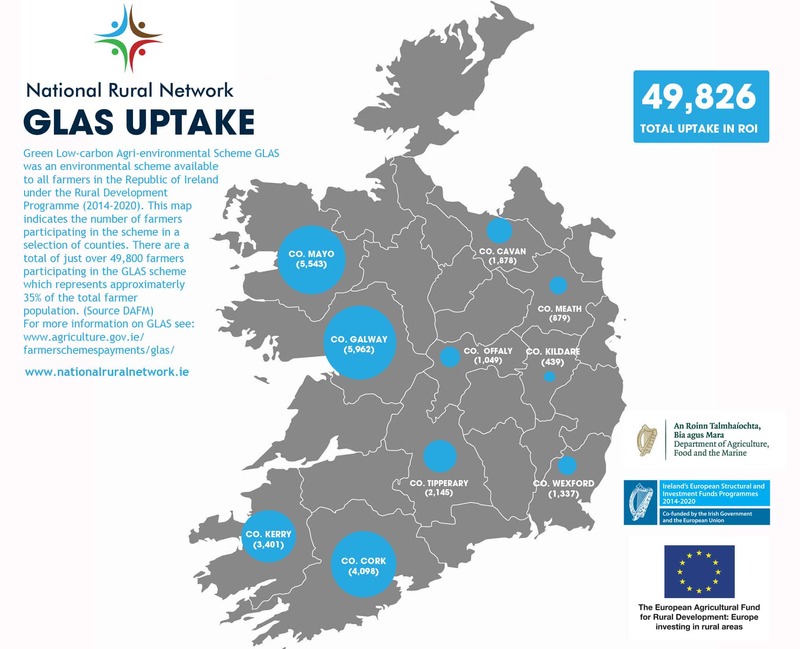 Check out Farmer uptake of the GLAS scheme within selected counties (based on DAFM 2017 figures). When considering Biodiversity, we encounter many terms which we do not find in common use in everyday life. These may range from acidification to zoonomy. Defining terms is a science in itself and sometimes experts go to great lengths to ensure a very broad and detailed explanation. There are recognised authorities such as the United Nations, the European Union the EPA in various countries, and in the case of biodiversity much work has been done by the European Convention on Biodiversity. This glossary of terms has relied on the above sources and authorities but at all times attempts to use everyday terms to ensure that the subject is accessible to non experts. Algae refers to the tiny water born plants of very simple structure, usually single cells. They absorb nutrients from the water and convert sunlight into energy through chlorophyll. Nitrogen fertilisers usually contain Ammonia and it is also generated in large quantities from animal manure and slurry. Ammonia levels in the atmosphere are monitored by the EPA because raised levels are deemed to be a hazard to human health. Raised atmospheric ammonia levels can also be a hazard to a range of biodiversity because excess ammonia is returned to the earth in the form of nitrogen in rainfall. This increased nitrogen often disrupts the delicate balance of sensitive environments leading to loss of sensitive biodiversity. Under EU legislation all private or public physical development proposals or plans must be subjected to an appropriate assessment in order to assess the level of impact which the proposed development might have on biodiversity in the environment. The development can only proceed where adverse effects can be mitigated. Biology is the study of life and living organisms. It is a very broad term including the study of plants, animals, bacteria, fungi and tissue. Biology is often subdivided into the study of animals or zoology and Botany, the study of plants. Biodiversity is the word used to convey the vast array of all living things. This includes plants, animals, fish, birds, bacteria, fungi. All life, in the air, in the soil, on the land or in the sea. It conveys the diversity not just between species but within species. Over the past century, coinciding with increasing world population and increased intensification and mechanisation of agricultural processes together with a significant change in land use from forestry to agriculture it is accepted that there has been a significant risk of biodiversity loss. This loss is occuring in two ways, firstly through increased intensification, land use change or other environmental changes, certain species are being lost entirely. This loss affects plants, animals, fish birds and insects. In addition, due to improved breeding techniques and intensification of agricultural practises there is a danger that much diversity within species will be lost. This is true because many commercial animals are now being bread specifically for desirable traits thus losing diversity within animal breeds. Mono culture meaning the growth of a single variety of a single crop is now practised widely in crop production and grass production leading to the loss of diversity. In compliance with EU Legislation Ireland has prepared a second national Biodiversity Plan covering the period 2011 to 2016. This plan involves 102 separate actions aimed at achieving seven strategic objectives in relation to Biodiversity. Catchments are the land area contributing to the water in a river, lake or other water body. For convenience of study, measurement and regulation the land area of Ireland is divided into forty six main water catchments, which in many cases are further divided into smaller sub catchments. By dividing water systems into smaller units like catchments or sub catchments we get a greater understanding of how the entire system works and of how to measure and control nutrient flow from lands and farming activities. The Agricultural Catchments program is a pilot scheme in six areas funded by DAFM and carried out by Teagasc through which detailed scientific studies of these six catchments over a long period of time have been achieved. Results from the ACP are already helping us to understand how both nitrogen and phosphorus migrate from field to stream and more importantly the actions which we can take to prevent damage from nutrient loss. The management by human beings of the earth’s resources is carried out in such a way that the resource will, as far as possible, be able to regenerate and be available for future generations. Conservation is therefore important in terms of soils, water, forests, plants, animals and species. The relative state of health or well-being of a species is recorded over time as a conservation status and this enables improvements or disimprovements to be tracked over time. The International Union for conservation of nature (IUCN), maintains a Red List in relation to all species, the IUCN Red List is relied on internationally as an indicator of what species are endangered, at risk of extinction or threatened. Red Lists exist for birds, animals, plants and fish. Study of the interaction between all life’s forms and their environment. It will describe the interaction of a species, plant or animal with its physical environment and with all other plants or animals with which it interacts. A living community and its surroundings both physical and living. An ecosystem describes the entire complex in which an organism, plant or animal lives, it includes the medium in which it lives: air, soil or water; the other organisms that live with and around it; its source of nutrients and it’s method of decay and renewal. Flora describes the plant life in a region, whilst Fauna describes the animal life in a region. Flora and Fauna are the terms most commonly used to describe the plant and animal life in natural or wilder regions. The basic unit of hereditary. The gene is part of the DNA molecule which passes on a hereditary code to the next generation. Sometimes when genes malfunction they produce changes between generations. This is sometimes known as mutation. If these changes improve the organism, they may become permanent in future generations. A habitat is the space or environment inhabited by a species of animal or plant. it describes the natural and physical environment in which the species lives. The habitat includes the soil, air, water, plants, temperature and other organisms living in the area occupied by a particular plant or species. Some of Irelands least productive farmland is also the most biodiverse. These lands are deemed to be of high value to nature for the preservation of biodiversity. There are initiatives to develop high nature value farming within these areas. The objective is to promote farming which will be sustainable, preserve the biodiversity and reduce the need for abandonment or afforestation. A species that works as an indicator of either poor or good health within an ecosystem. For example, the presence of Fresh Water Pearl Mussels is an indicator of pristine water quality. 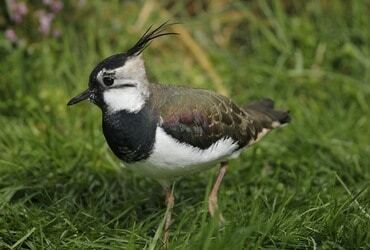 The presence or absence of certain species of farmland birds are regarded as a proxy for the general state of biodiversity in the area. The percolation of substances such as fertilisers or pesticides through the soil. Leaching is the process through which fertilisers and pesticides move through the soil into the drainage systems or into the ground water. Methane is the gas produced in the stomach of ruminant animals during the process of the digestion of grass. Methane is one of the Greenhouse gases. Mitigation refers to acts which reduce, stop or limit the long-term effects of a particular action. Mitigation of Biodiversity loss might include maintaining segments of the habitat, maintaining larger field boundaries or creating a similar habitat at an alternative location. Climate change mitigation would include the reduction in greenhouse gas emissions or reducing the carbon footprint through reductions in carbon consumption. Natura 2000 Sites or European sites have been identified by the NPWS as special Sites for the protection of habitats of flora and fauna. Under the Habitats Directive, Special Areas of Conservation (SAC) are designated for the protection of plant life within suitable habitats. Under the Birds Directive, Special Protection Areas (SPA) are designated for the protection of birds. Approximately 13% of the land area of Ireland has been designated as Natura 2000. Some farmers choose to farm their lands in a less intensive fashion without using artificial fertilisers, pesticides or other artificial inputs, this is broadly known as Organic Farming. Organic Farmers may be eligible for financial support under schemes operated by DAFM. The produce is considered by many to be of superior quality and thus commands a premium. Dissemination of information in relation to biodiversity. The LIFE programme is the EU’s funding instrument for the environment and climate action. The common objective of LIFE is to contribute to the implementation, updating and development of EU environmental and climate policy and legislation by co-financing projects with European added value. Until 2013, LIFE had contributed approximately €3.1 billion to the protection of the natural environment across 3,954 different projects in Europe. During the current funding period, known as the LIFE Programme 2014-2020, an additional €3.4 billion will be contributed to the environment. Successful Irish projects that are now finished include Wiser LIFE, Burren LIFE and Aran LIFE. A database of successful projects under LIFE is available on the European Commission’s LIFE website.